A day after the Taliban freed over 250 prisoners from a high-security Pakistani prison, a top commander of the terror outfit has said they took a month to plan the assault and spent Rs 1 crore to execute it with military-like precision. 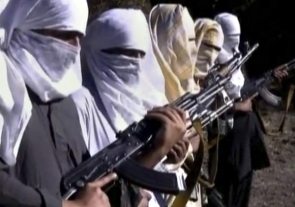 The Taliban gunmen launched their attack on central prison in Dera Ismail Khan of Khyber Pakhtunkhwa province bordering the restive South Waziristan agency yesterday around midnight with a series of heavy explosions before firing rocket propelled grenades and machine guns. Adnan Rashid, a Taliban commander who was released by the terrorists in a jail break incident in Bannu few years back, said the operation was named "Marg-e-Nijat" and it was launched to set free six terrorists of Quetta and some others. It took a month to plan the assault and cost Rs one crore to materialise the plan, he said. During the attack on Tuesday the terrorists killed six policemen, six Shia prisoners and two private security guards. Security forces released a list of 252 prisoners who had gone missing after the Taliban attack on the prison. The list includes the names of 11 high-profile terrorists, Dawn News reported. Meanwhile, the police on Wednesday re-arrested 45 prisoners who had escaped. Security officials were quoted by the daily as saying that the re-arrested convicts had voluntarily surrendered themselves to police and that a search was still underway to apprehend as many escaped prisoners as possible. "We freed two important commanders hailing from Parachinar, six each from Dera Ismail Khan and Quetta. Our friends have now reached the safe place in Mir Ali in North Waziristan agency," Rashid told a private TV channel. He also claimed that a lady police constable was in their custody. "It was part of the plan to remain in the jail premises for 20 minutes and then escape to the adjacent tribal agency South Waziristan within one hour of the attack," Rashid said. "Eight special commandos (suicide attackers) participated in the jail break attempt who were equipped with latest night vision gadgets, and latest weaponry. In all thirteen vehicles were used in the operation and used two ways to reach the jail," the Taliban commander said. Taliban commander Haji Abdul Hakim, Haji Ilyas and Walid Akbar are among those who have been set free in the jail attack, sources said. Akbar was main accused in the attack on a Muharram procession in Dera Ismail Khan last year. Important commanders from Bajaur also escaped in the incident, sources said.